as well as sample poems and audio samples. Additionally, over the years, Leigh has performed her poetry at numerous poetry readings and other events, including readings at schools in the NYC school system as part of Poetry Month, held annually in April. Below is a partial list of other venues where she has read. She has also appeared at numerous poetry readings, in many as a featured performer; a list of those venues appears below, along with some of the literary awards she has received. 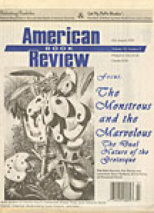 Leigh's book reviews and essays have appeared in numerous magazines including "American Book Review," "Medicinal Purposes Literary Review," "On The Bus," and "Home Planet News" (online) She has taught poetry, writing, and short story classes at Queens College (CUNY), York College (CUNY), and at Long Island Business Institute. She is the creator of the Harrisonian sonnet, and the Pentina (a variation on the sestina); there is an article on Wikipedia about the Pentina. The Pentina is also included in "The Book of Forms / A Handbook of Poetics Including Odd and Invented Forms" (published 2012), by Lewis Turco. She has also been a guest-host of the cable TV show, Poet To Poet (with Robert Dunn), now archived and available on YouTube. "Ballroom," which was published in First Literary Review / East. Ms. Harrison is the author of several poetry collections, of which three have already been published: "Tour de Farce" (New Spirit Press: Kew Gardens, NY, 1996) a chapbook of humor and parody, "Our Harps Upon the Willows" (Cross-Cultural Literary Editions: Merrick, NY, 1999) a collection of poems about spiritual faith and doubt, and "Finding Sermons in Stones," (WordCrew.org: New York, 2011) a collection of poems about nature and the four seasons. Her next collection, "From A To Zeus," will offer a selection of her poetry with biblical or mythological themes. Click the thumbnail for the books above to read sample poems, and hear audio versions. As a poet, Leigh has been widely published, and has worked on the staff of numerous literary magazines, such as "Impact" and "et cetera" (the official and unofficial anthologies printed by students when she attended Fairleigh Dickinson University), "Poems That Thump in the Dark," "Second Glance," "Asbestos Arts Journal." "Shabdagucha," and "Medicinal Purposes Literary Review." Click button for a list of Leigh's publication credits in various poetry and literary journals, in the US and worldwide, in print and online. You can also link to read some sample poems. 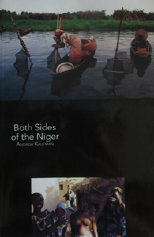 "Both Sides of the Niger,"
Home Planet News / online.